The New York City gallery R 20th Century recently mounted "The Objects Show," a collection of artist and designer-created objects on view (and available to purchase) through December 30th. 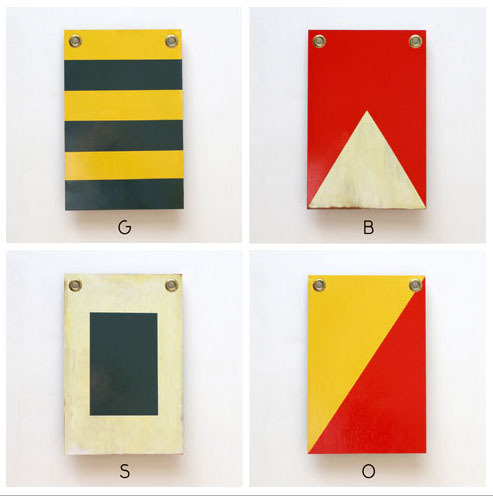 The pieces include hand-sewn animals by Renate Muller, hand-painted blocks by Serena Mitnik-Miller, jewelry by the likes of Kara Hamilton and Kiki Smith, and hand-crafted Best Made products including their covetable nautical flags and painted axes. 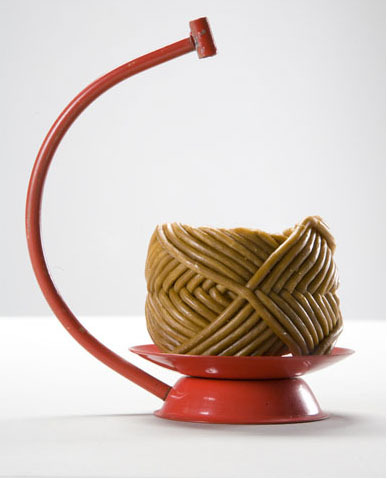 Also contributing to the show is ITEM, founded by Leah Singer and Julia Trotta, who source unique objects around a single theme. 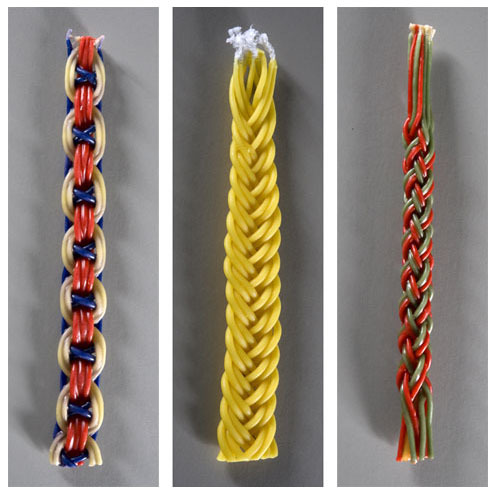 For the exhibition at R 20th Century, they've gathered a gaggle of sculptural handmade candles from around the world, from colorful Havdalah candles from Israel to a three-pronged Swedish branch candle. 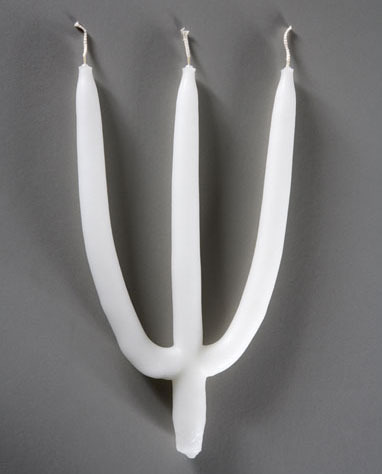 ITEM also keeps a blog related to their current obsession—worth checking out for all sorts of candle ephemera. Here are some of my favorite items in the show, all available at the gallery and online here. 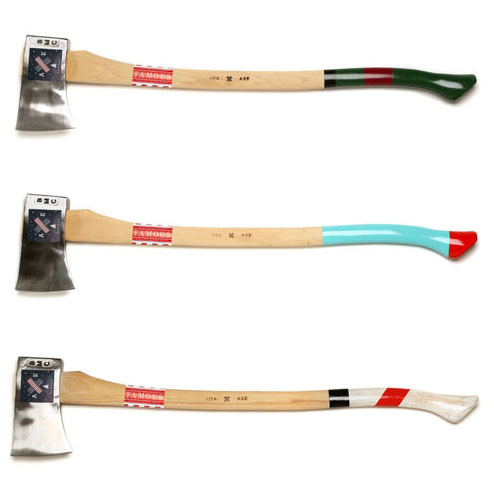 These hand-painted wooden axes by Best Made Company run a cool $400. 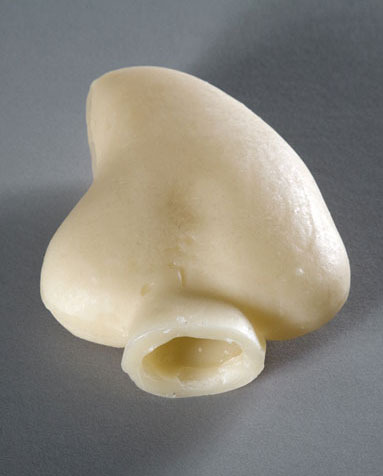 An ITEM-curated object: a wax votive heart from Portugal, priced at $45. 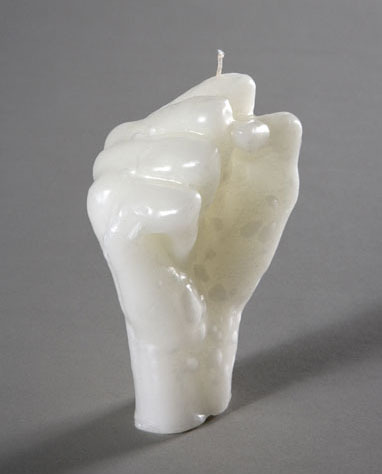 Another ITEM contribution: a fist-shaped candle from Brazil, said to bring good luck ($30). 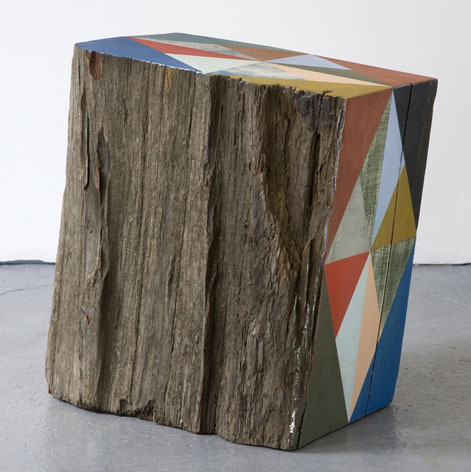 Serena Mitnick-Miller contributed these hand-painted reclaimed wood block sculptures (price upon request). The show includes an assortment of Havdalah candles from Israel, priced at $35 eac (right). I love this three-branched Swedish candle, traditionally lit on Christmas ($75). Here's another ITEM find: a Byzantine Cart candle made in Greece ($75).